Your Chooseday message from Canada! Happy Chooseday from snowy Toronto, Canada! 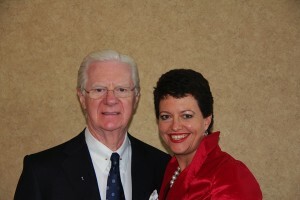 I am fortunate enough to be spending 6 days masterminding with Bob Proctor and dynamic people from around the world. It has been very interesting to see how people formulate their goals – and how it impacts on others helping them. When I read “The Secret” in July 2007 and decided that I would get to know the featured experts in there, and teach what they were teaching about the human mind – I certainly didn’t expect that I would be fortunate enough to spend as much time with Bob Proctor as I have. Giver’s Gain – you’re probably familiar with the concept of “the more you give, the more you get”. We did an interesting exercise this afternoon – whereby each person said what they needed for the next step in their plan – and then we would write ways in which we could help them. These ways could include contacts, ideas or other insights. Those that were clear on what they wanted received lots of offers of help. Ideas were exchanged, contacts were shared – and a great result was achieved. Those that were vague about what they really wanted wasted their time trying to explain it – and ended up getting very little assistance. This is true in life – when we are clear on what we want, we very often find others that are keen to help us get there. But if you don’t know where you’re headed, how on earth is anyone going to help you get there? At each stage of our life, we need to redefine what we want. When you’ve reached a really big goal – it’s time to reset new goals. The purpose of a goal is to grow you as a person, not just to achieve whatever the goal is. This last week I have been travelling around the USA looking for investment property. It was a whirlwind trip and I can honestly say it was totally business – two days in Dallas, then Kansas City followed by Atlanta. It was a real eye opener. I’ve managed to video several of the conversations I had with realtors, business owners and property managers in each city. Many of you have asked me to discuss this – so I figured it might be easier if I simply create an education site for you to use as a member. Watch this space and I will let you know when I have this material ready to share with you online. If you have friends who may be interested, they can visit www.evolvedynamic.net and put their details into the Chooseday box, as this is the channel which I will use to notify you when it’s ready. Enjoy the rest of your Chooseday – and Happy Valentines day too!